Since their debut collection in 2008, SIBLING has succeeded in constantly pushing the boundaries of men’s knitwear with innovation and a healthy dose of English humour. 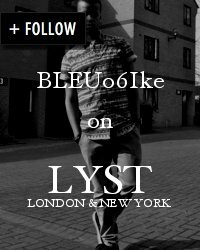 Today’s presentation was inspired the youth culture of Brick Lane and the revolutions in Paris and the Arab world. 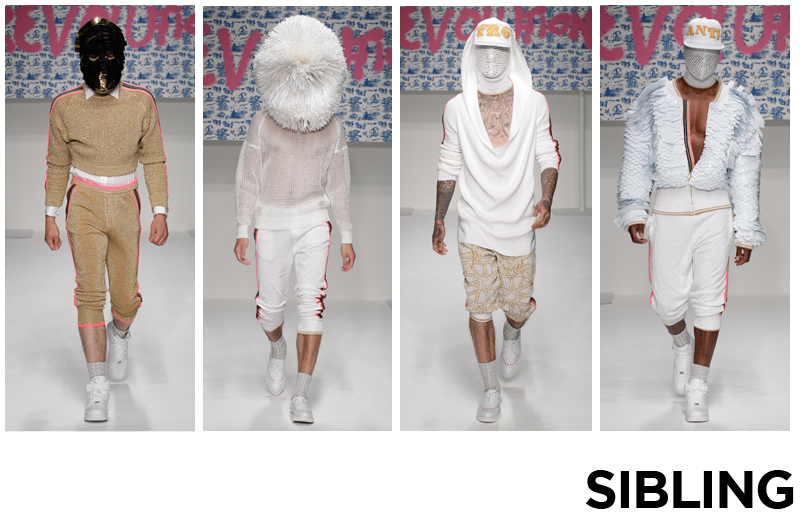 Light-weight knits and cropped jogging shorts in white, pink and shimmering gold dominated the collection. Shrugs and cardigans were festooned with thousands of acrylic paillettes and layered over crisp white shirts or embroidered jumpers. An urban variation on a Toile de Jouy in a rich blue hue. The extravagant 'pom-pom’ masks were the highlights of a truly spectacular show. 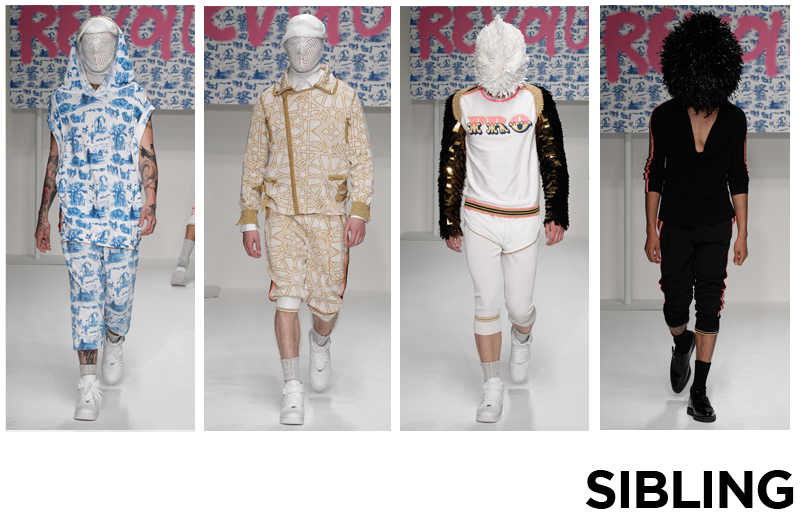 It’s no wonder why SIBLING has become one of the most sought-after designer collections on the menswear calendar.